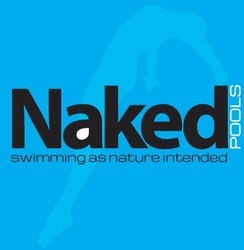 Naked Pools are passionate about providing consumers with the best quality water for their domestic swimming pools. The NKD1 System is designed specifically to be the most effective water santiser while drastically reducing chemical use. Therefore your pool water is healthier, perfect for asthma or skin allergies, lower in running costs, easier to maintain and better for the environment. Our primary focus is the experience our customers will enjoy swimming in a fresh water pool. As well as the water being crystal clear, with no more chemicals than your average tap water, the pool water has a much softer feel on the skin. A feeling to leave you refreshed and rejuvenated with no residue on the skin and no need to shower after swimming or bathing. With more than 40 years combined experience of manufacturing, distribution and service in the swimming pool industry, Naked Pools is a certified SPASA member and will embrace key industry partners to move our industry forward into the future. We work and support key builders and distributors to offer new technologies that will offer more variety and greater benefits to their end customers.